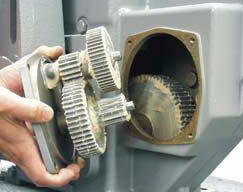 Efficient, wide-face spur gearing virtually eliminates wear-induced backlash and positioning inaccuracies. Integral self-locking mechanism ensures that drives hold a load with the motor de-energized. An easy-to-turn, spoke-free Handwheel is incorporated into the Group 11 design to allow manual operation during installation or power outages. Move valves and dampers to any position smoothly and easily without power, even under full load conditions. 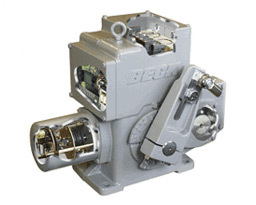 Beck drives feature a cast aluminum body with individual compartments to protect components from moisture and dirt, and allow easy access for installation and calibration. Precision-machined aluminum alloy castings with corrosionresistant poly-urethane paint provide a rugged, dust-tight, weatherproof NEMA 4X enclosure. Individual compartments protect all major components: Motor, DCM, CPS-2, gear train and installation wiring terminal board. Each compartment can be accessed without exposing other components. 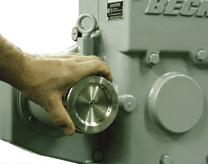 Group 11 Beck drives are designed to be mounted in any convenient position. 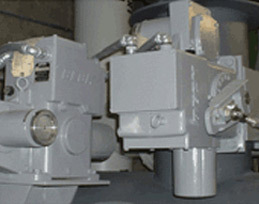 The no oil bath design eliminates the potential for leaks.